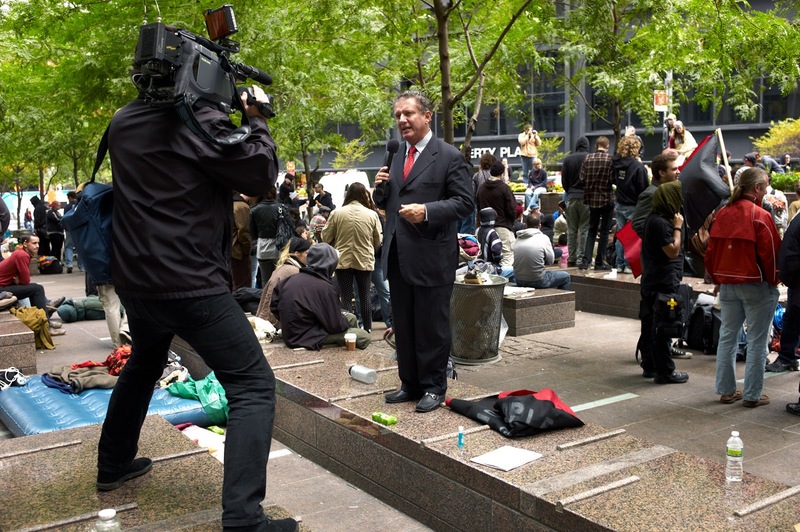 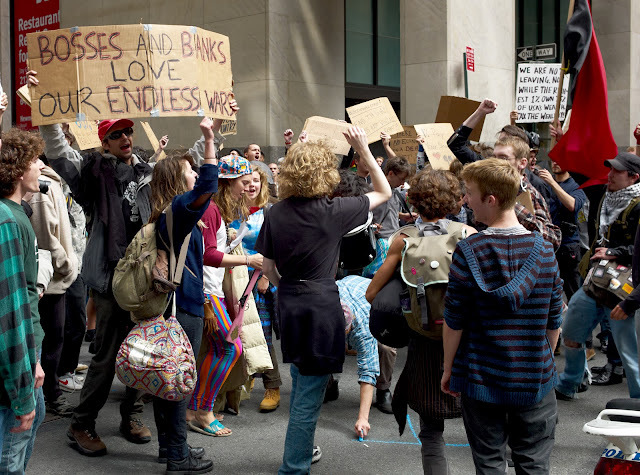 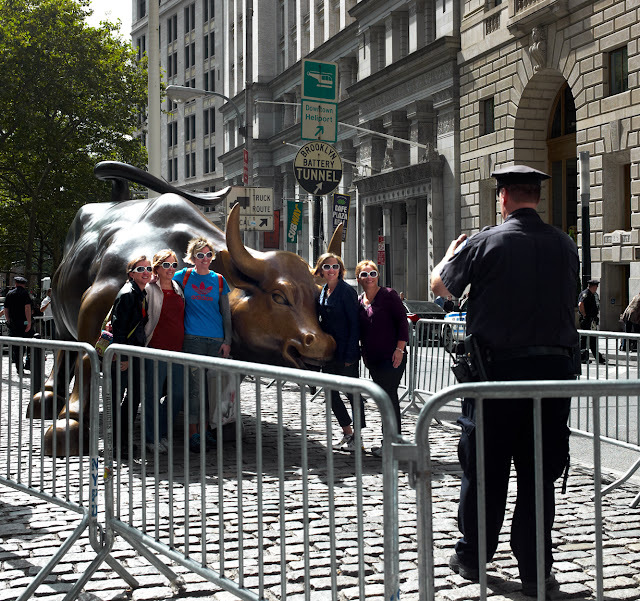 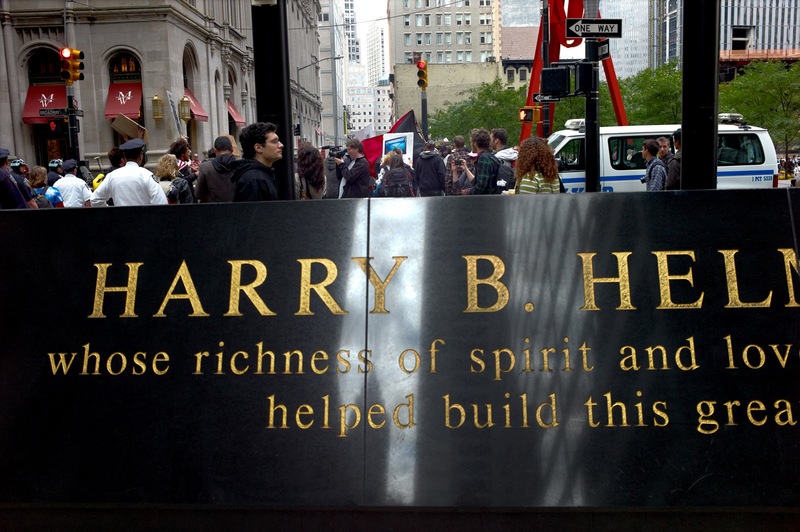 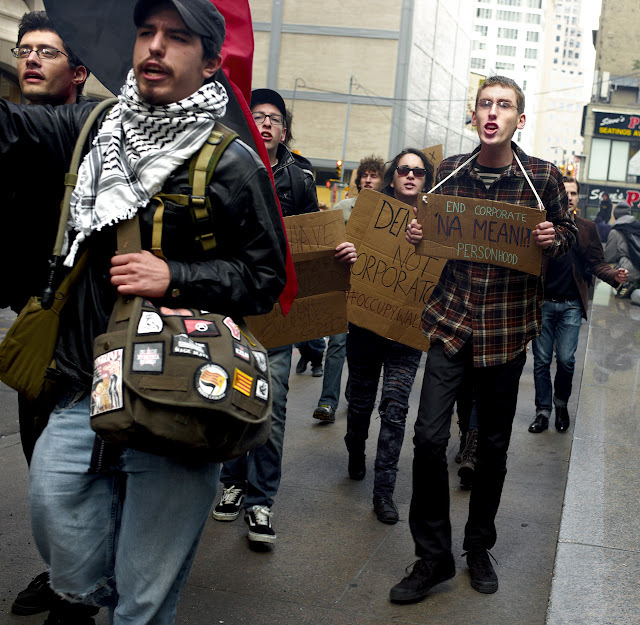 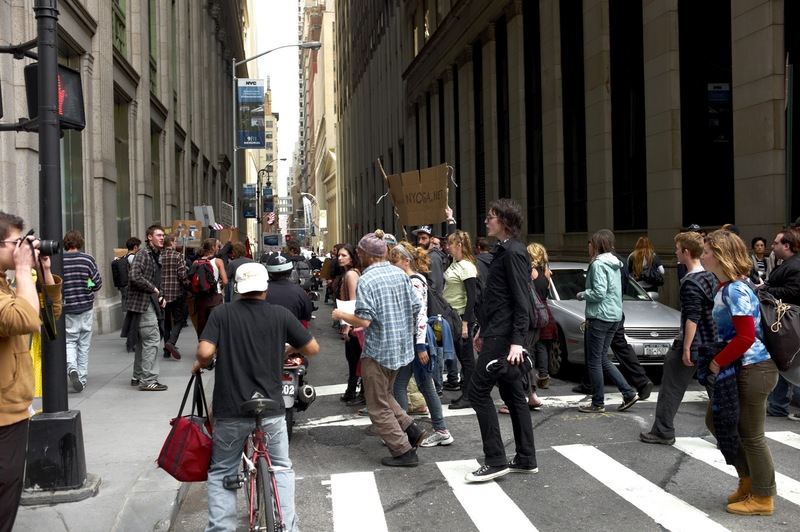 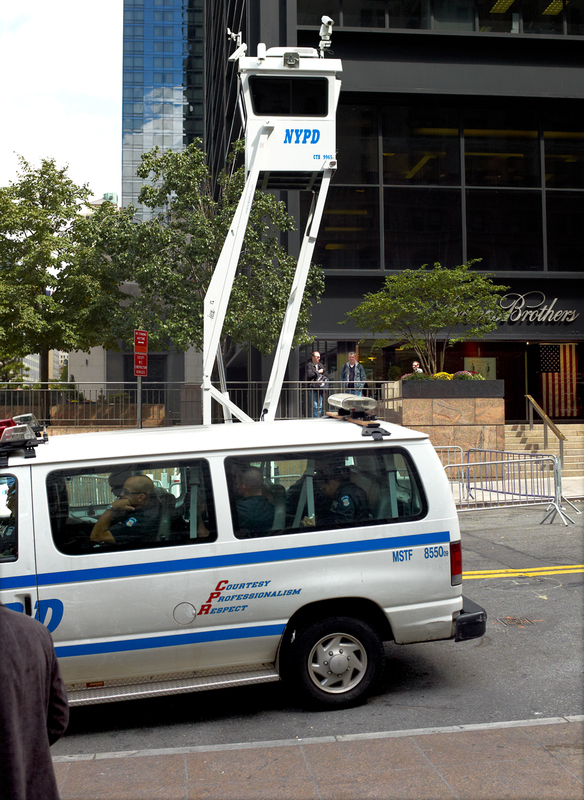 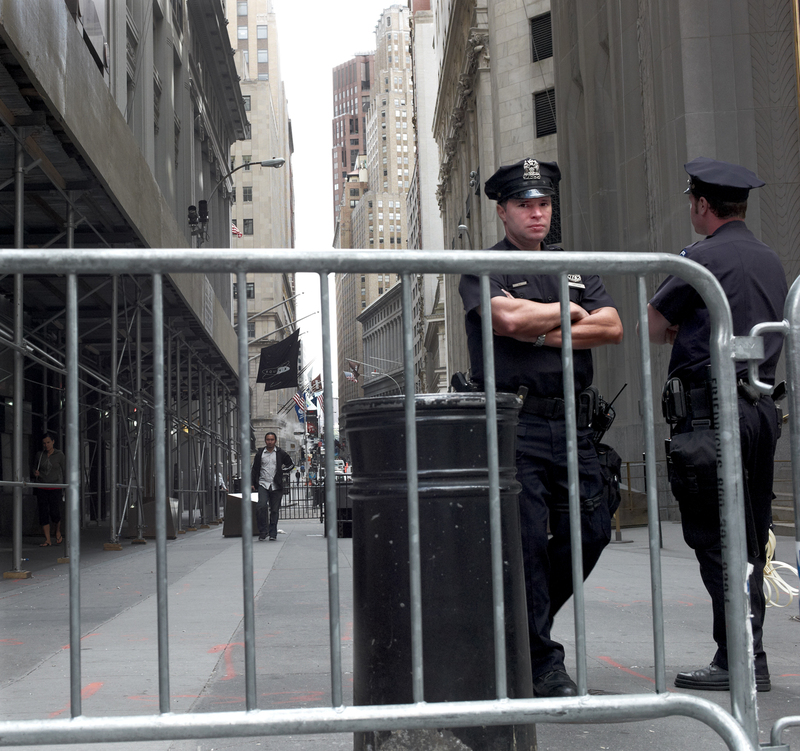 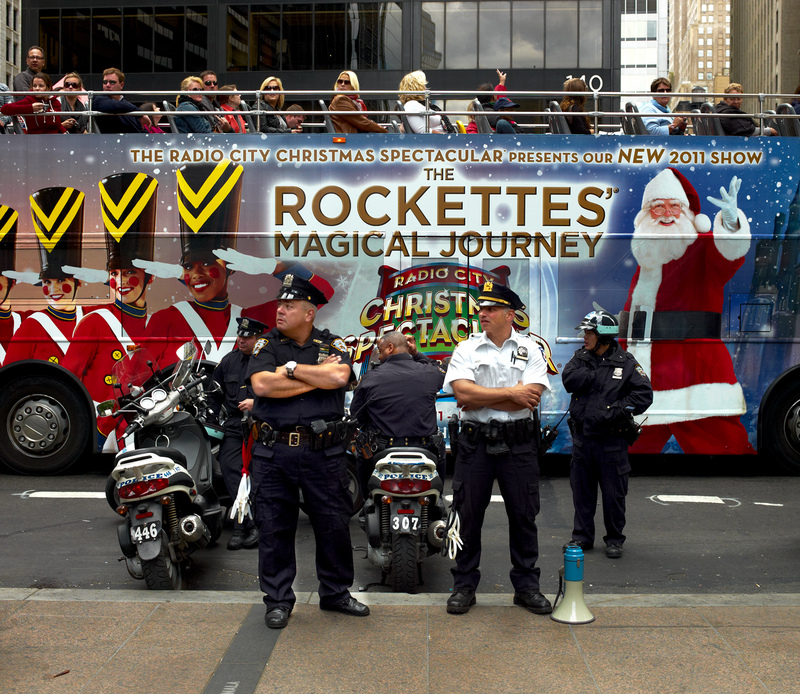 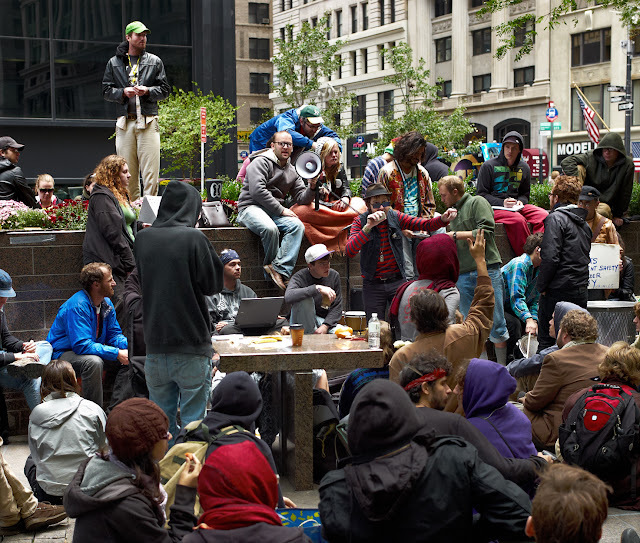 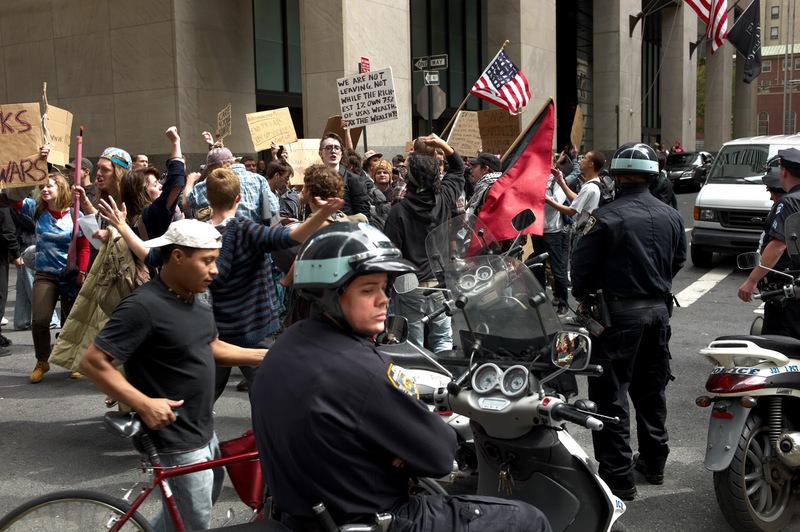 Preparing the Occupation of Wall Street? 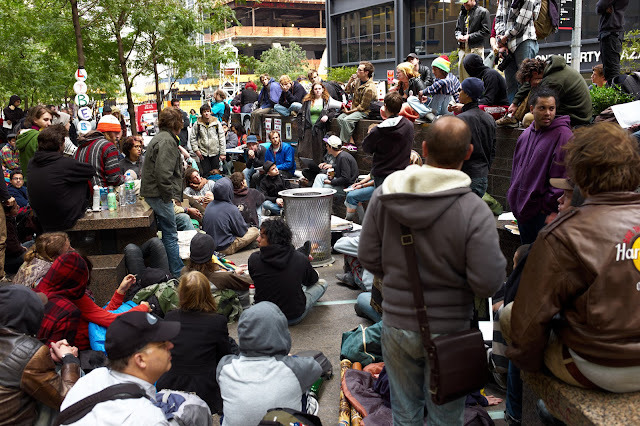 The tourists hardly noticed the 300 or so folks of the General Assembly and allied groups sprawled about Zuccotti Park .Many had camped overnight at the leave of NYPD in the park .By mid-day most were up and about preparing to shut down Wall street .Some were concerned with the day's agenda ,some made posters , some made music and danced while the more militant sorts marched through the streets ,led by a black and red flag to a corner near Wall Street . Tomorrow Wall Street .